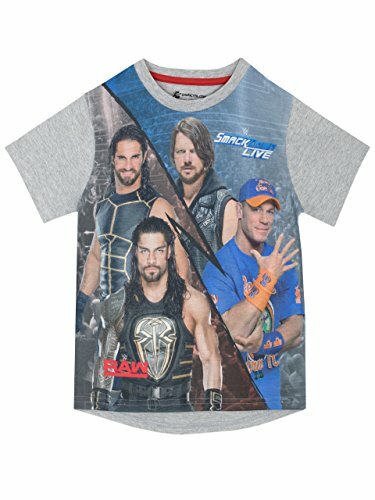 Boys WWE T-Shirt. If your little one is a budding pro-wrestler, this fun top is one they need to have in their collection! With a large print on the front of fan favourites John Cena, Roman Reigns, AJ Styles and Seth Rollins, he can always show his wrestling mania wherever he goes. With a cool dipped back hem, and the WWE logo on puff print at the back, this tee is a must have. The perfect look for them to show off their Wrestle Mania! By Gift Ideas for Wrestling Fans.